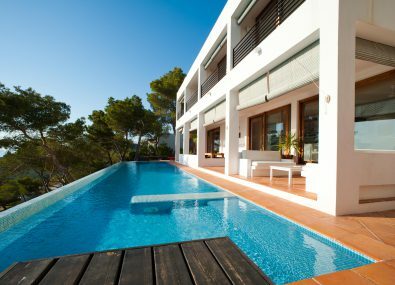 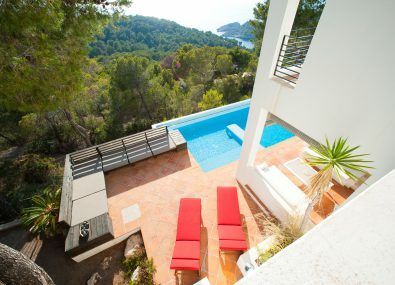 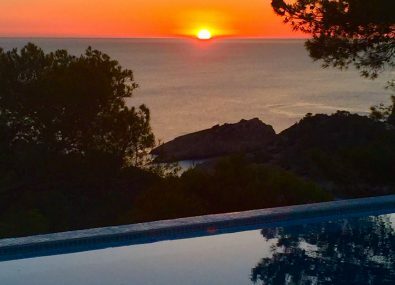 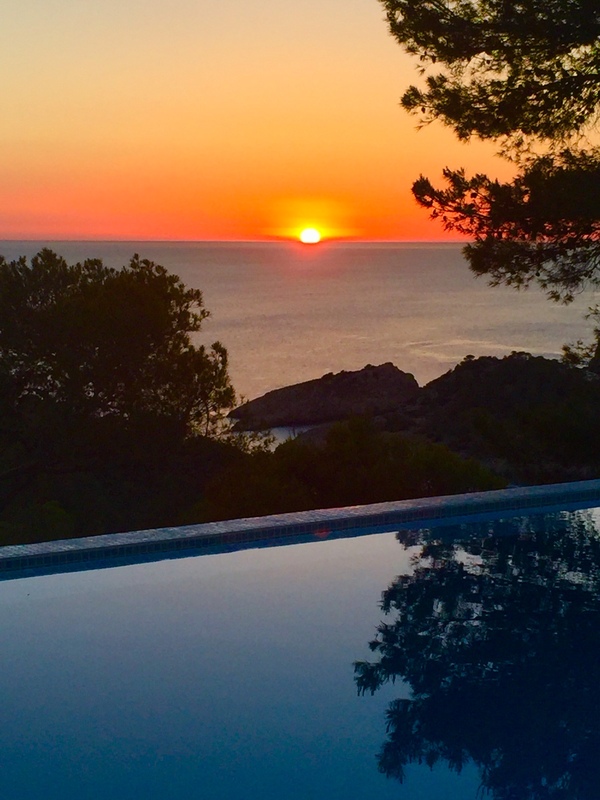 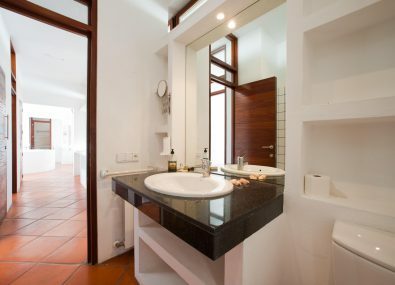 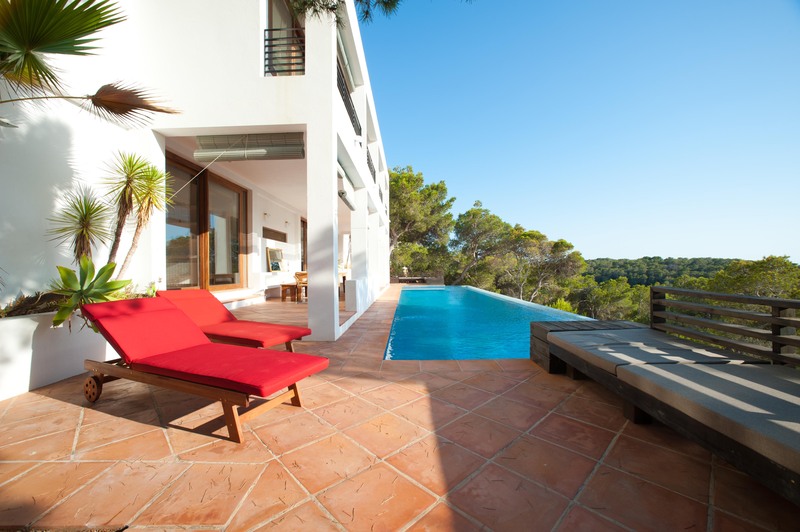 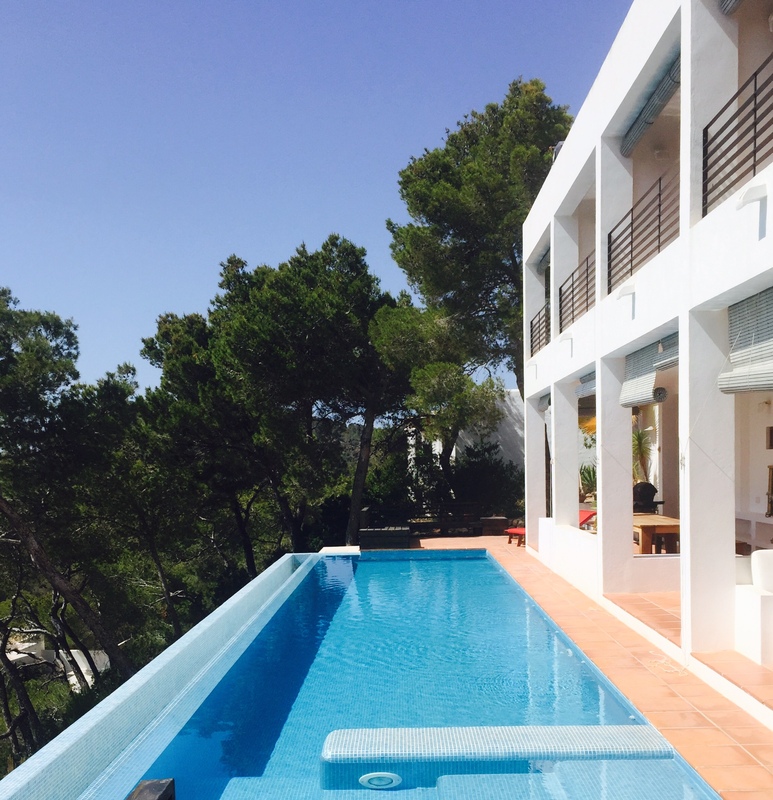 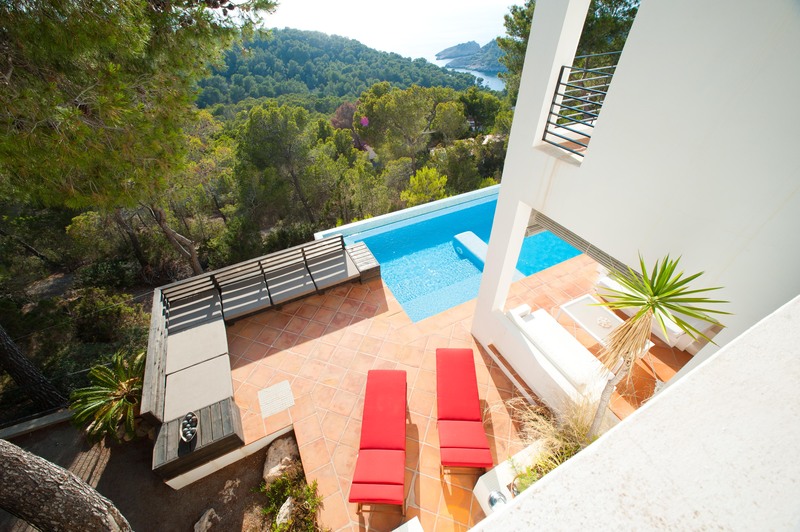 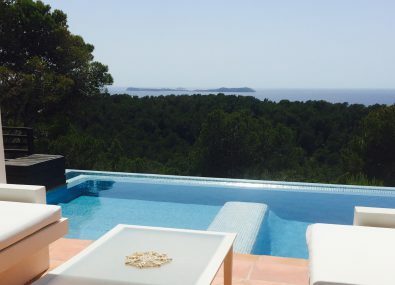 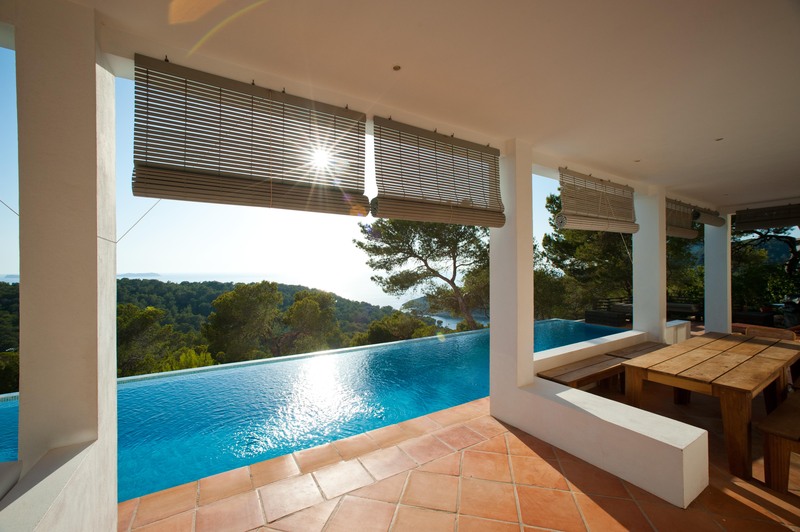 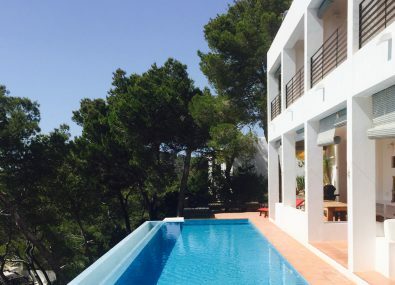 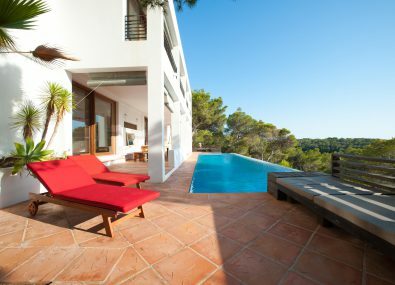 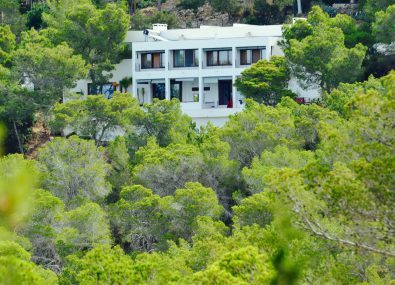 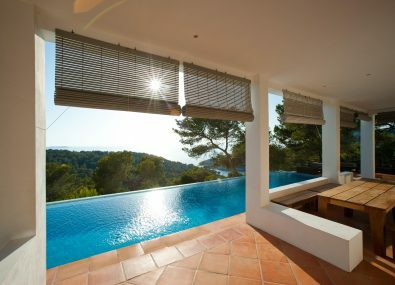 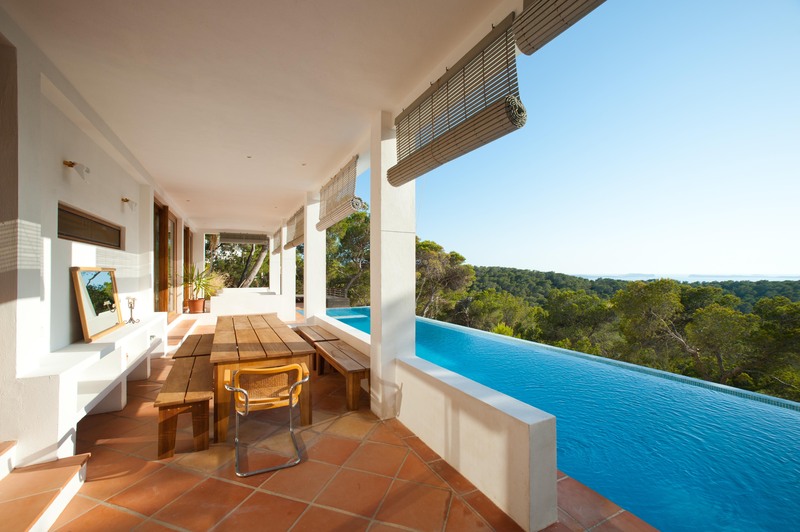 Casa Solivent is nestled into the hillside above the beach of Cala Salada, within an exclusive residential community on the south west coast of Ibiza. 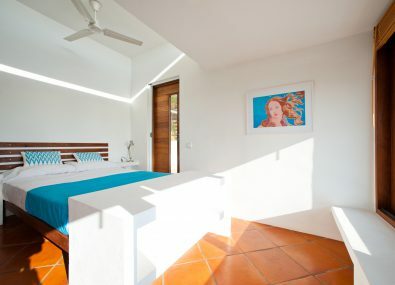 The elevation offers spectacular sea and sunset views, yet within walking distance of the pretty beach below. 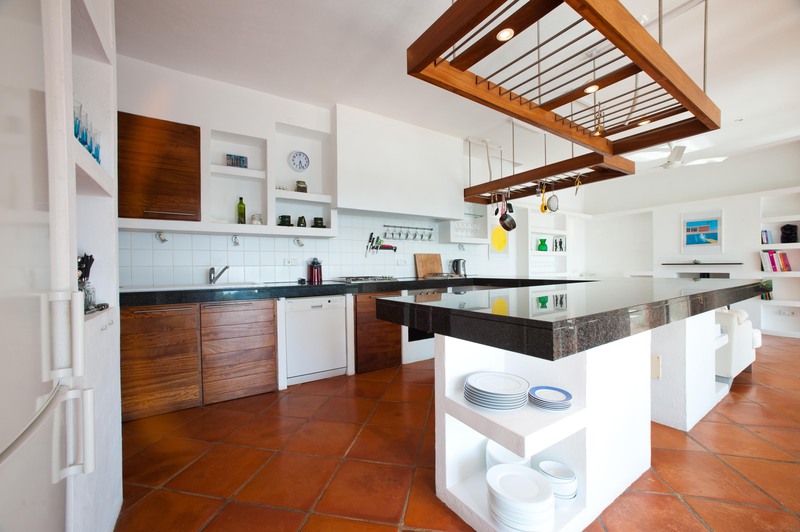 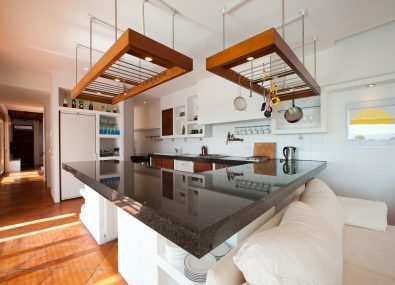 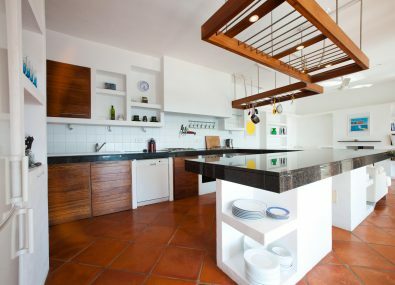 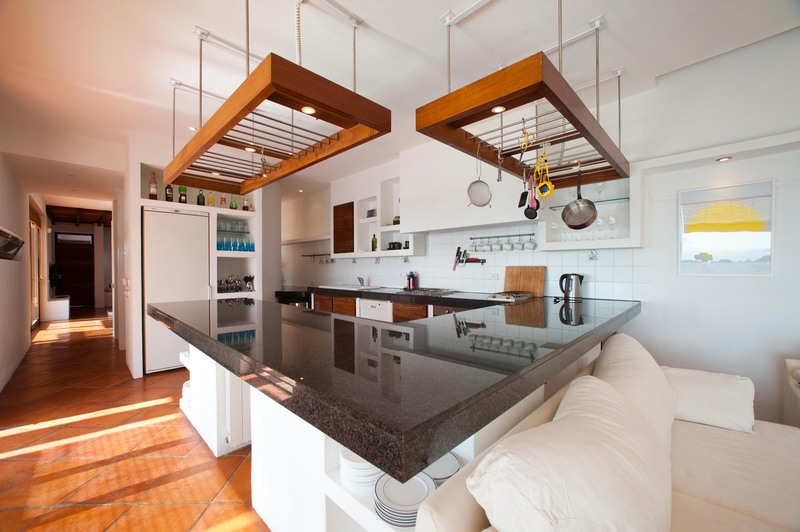 Designed by an award winning architect to take advantage of the remarkable sea and sunset views, together with the uninhabited island of Illa Sa Conillera. 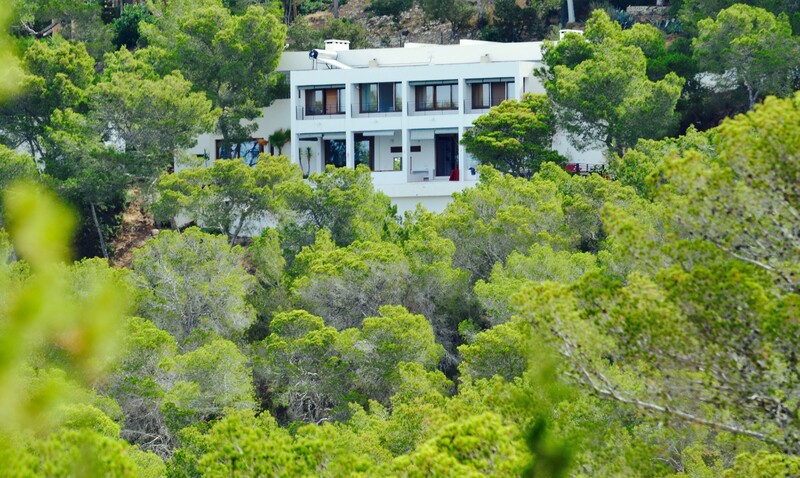 Due to hillside position, the entrance opens onto the upper level with stairs down to the lower level. 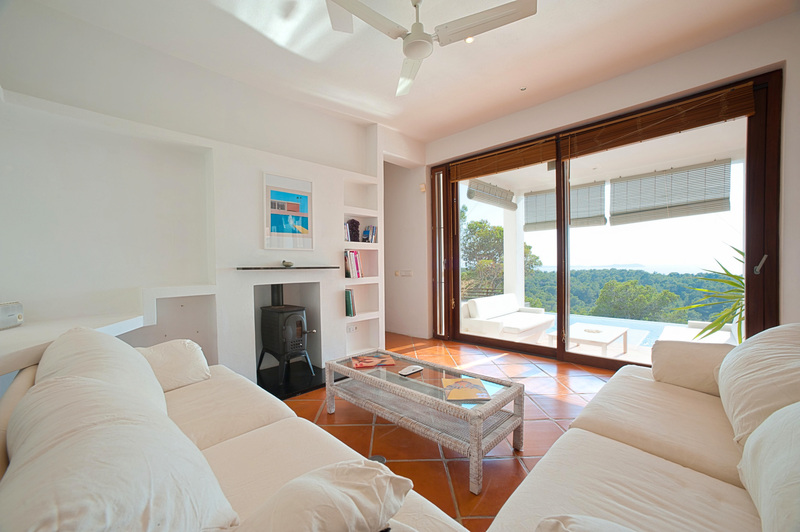 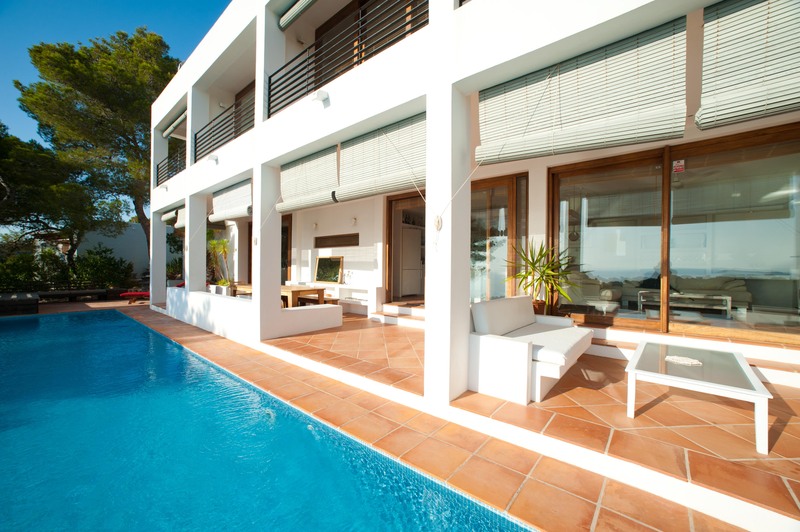 The main living spaces are open plan and grouped around terraces (some covered) and garden areas. 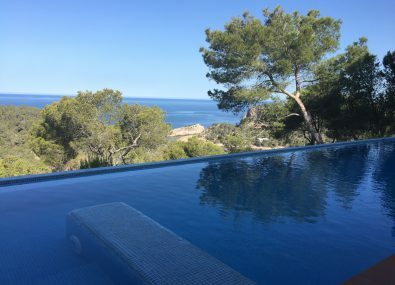 A real feature is the 17m infinity pool, stretching horizontally across the villa’s full width terrace, offering spectacular sea and sunset views. 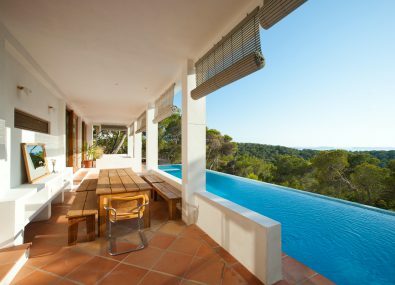 As well as the open plan living and dining areas on the ground floor, there is also the well equipped kitchen with granite worktops and a large breakfast bar. 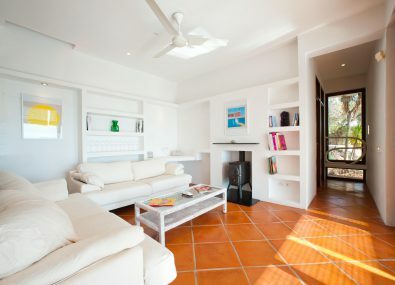 The lounge area has seating around a wood burning stove. 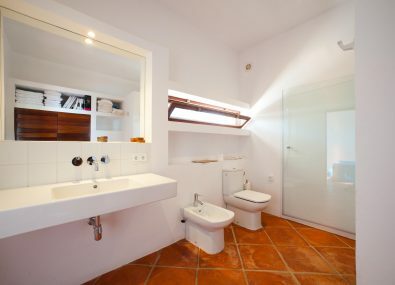 Also on this level are a utility room and a bathroom with shower, sink, WC and bidet. 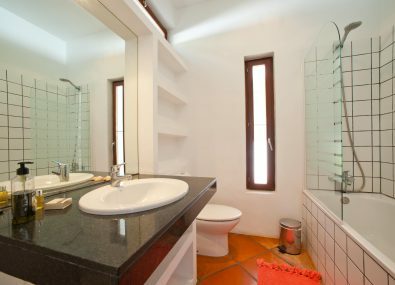 The ground floor also features the master bedroom with double bed and spacious en-suite bathroom with large shower, sink, WC and bidet. 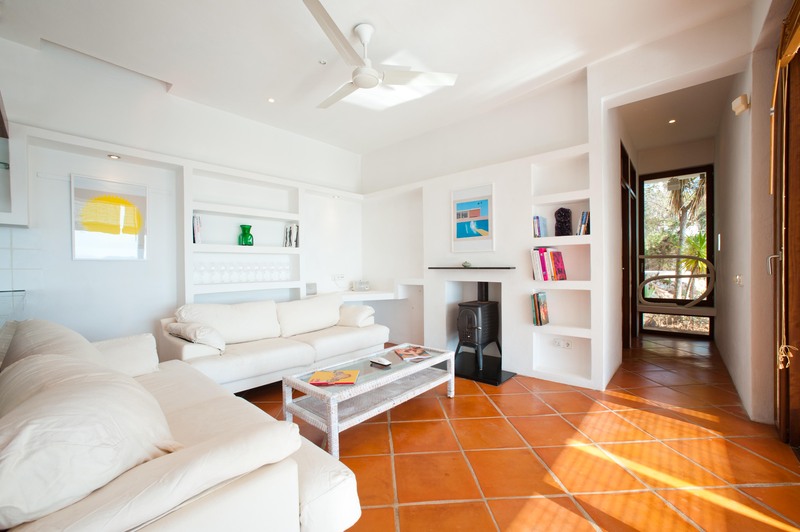 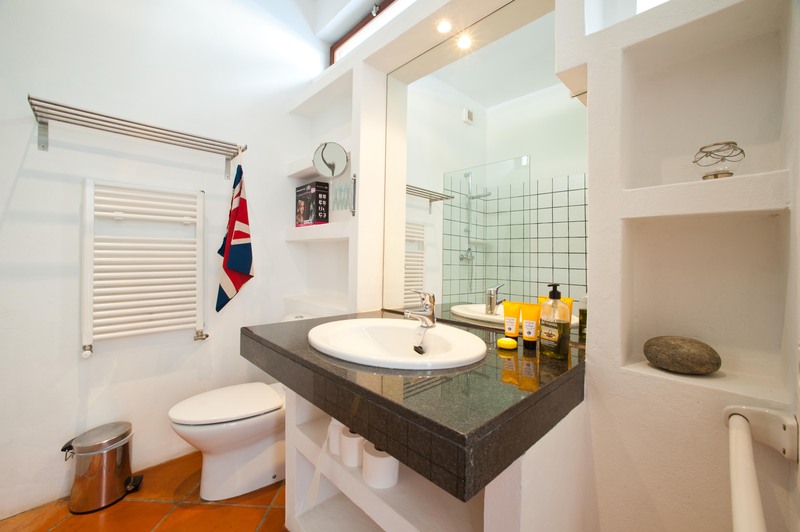 On the upper first floor (ground floor to the road) are three bedrooms – all enjoying stunning sea and sunset views. 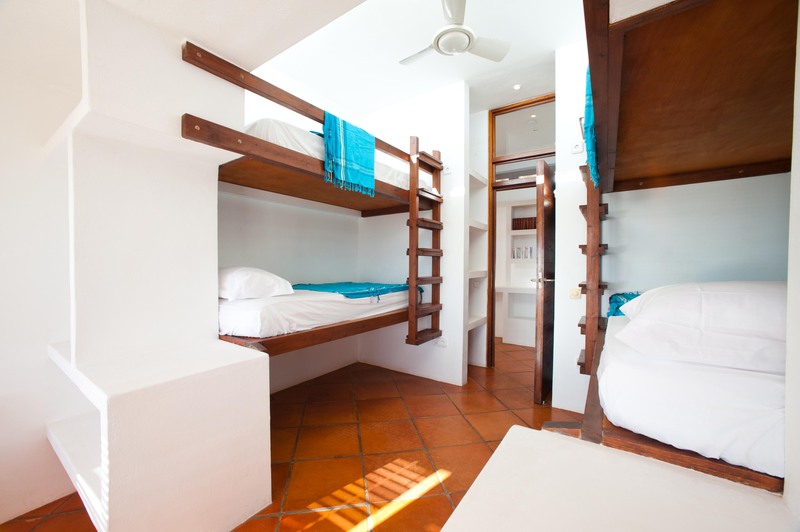 The well furnished bedrooms have built-in wardrobes, overheard fans as well as air-conditioning. 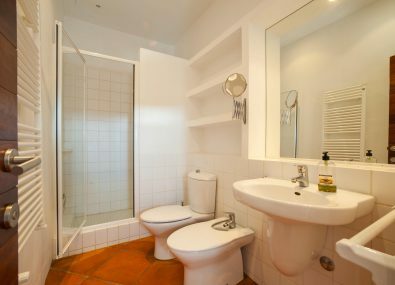 Located on this floor are two shower rooms. 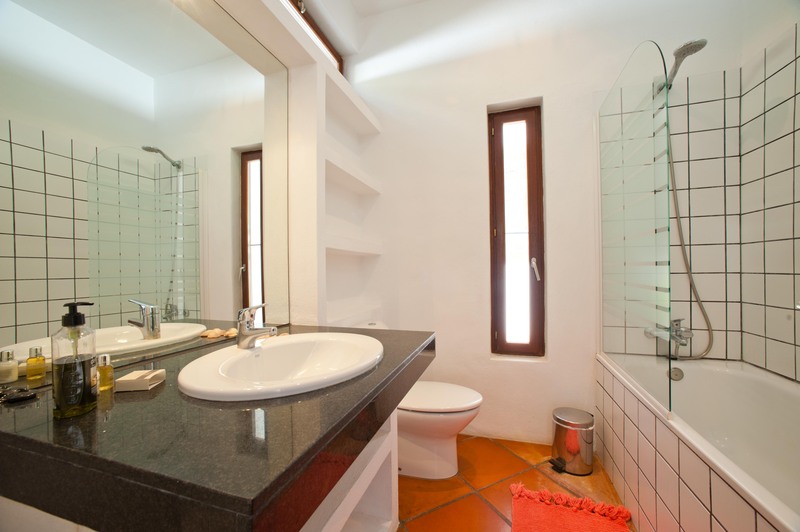 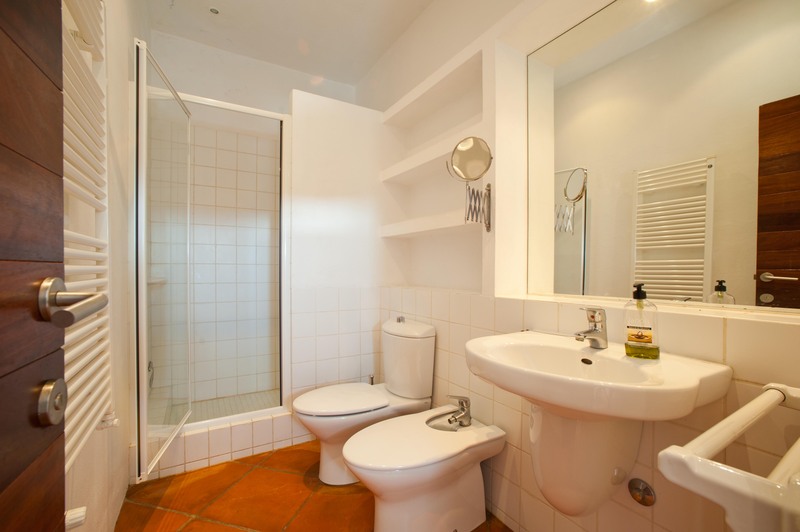 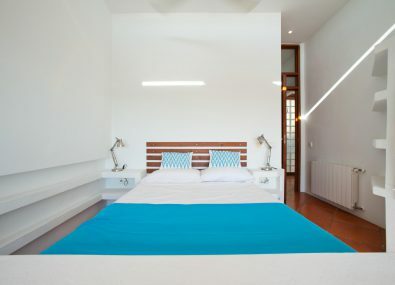 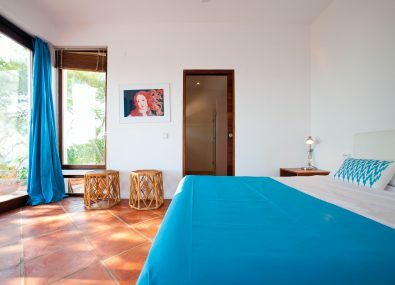 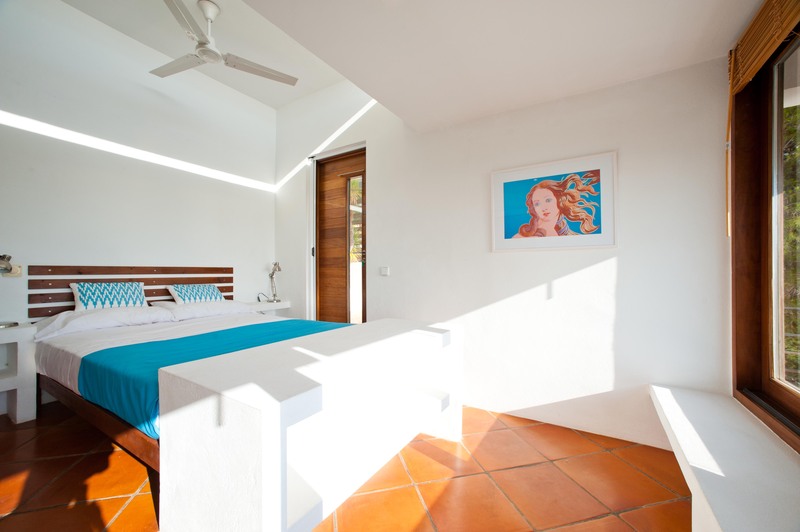 Two of the bedrooms are doubles – one also has a private terrace. 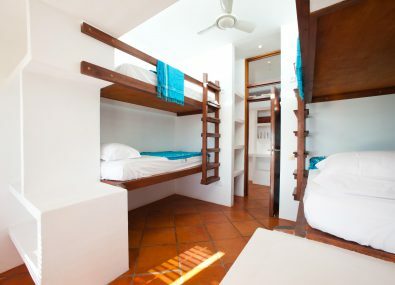 One bedroom has built in full sized single beds in a bunk bed style, sleeping four. 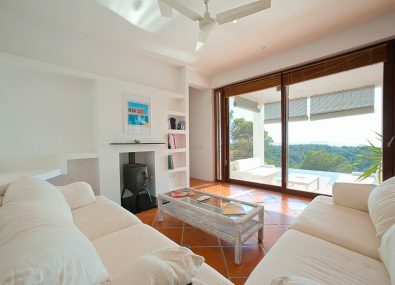 Glass sliding doors run the full length of the ground floor, with the terrace enjoying spectacular sea and sunset views. 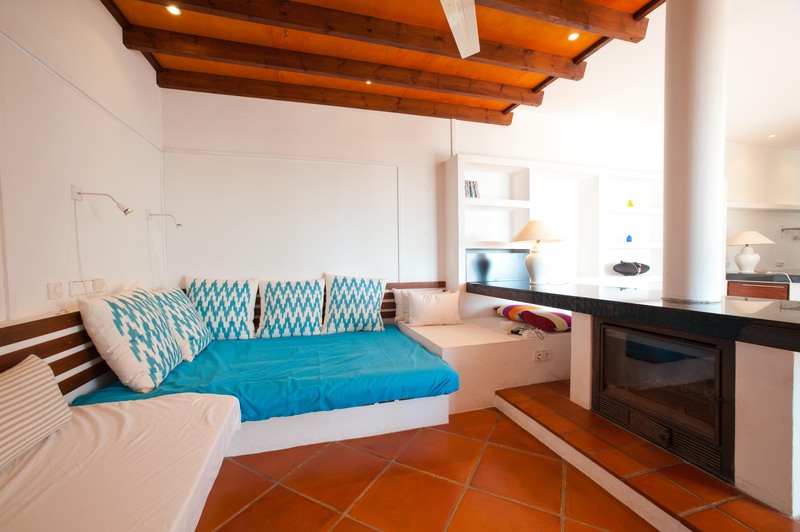 Two further wooden seating areas with comfortable mattresses and cushions offering plenty of chill out options. 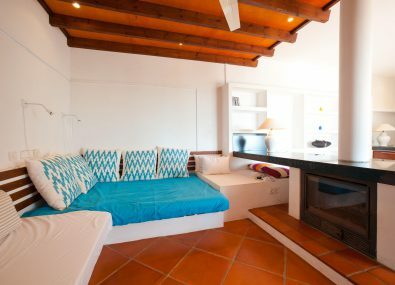 The terraces have wooden sun loungers with comfortable mattresses and plenty of shade. 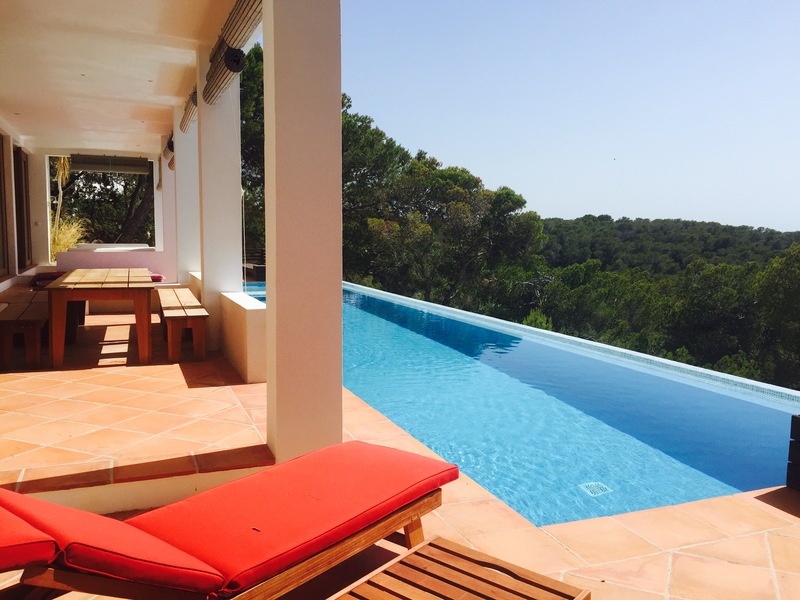 Also outside is a shower by the pool, a boules pitch, together with a separate BBQ area. 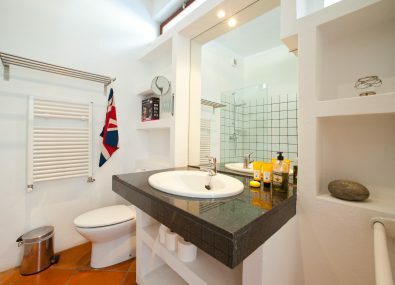 Please note the owner has upgraded/replaced furnishings and lighting. 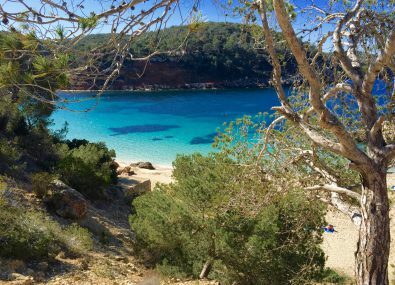 New photos to follow.